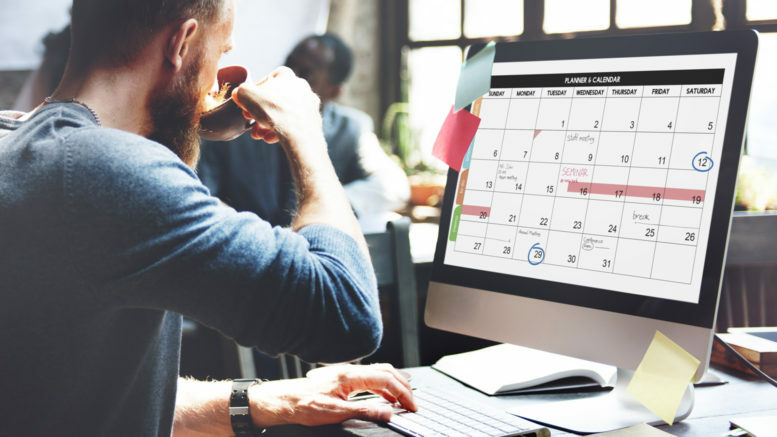 If you’re undecided as to what marketing tools you should spend on this year, do yourself a favor and make sure calendars make the short list. You should really print 2018 calendars. Think about it. It’s a one-time cost that advertises your brand for an entire year. You get the most out of every penny spent. 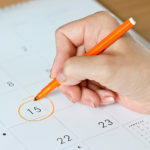 The best marketing tools are ones that people are least likely to dispose of and that’s certainly the case for calendars. First thing you’ll need is a graphic design software. So fire up Adobe Photoshop, Illustrator, CorelDRAW, Microsoft Publisher, or whatever software you’re comfortable using. 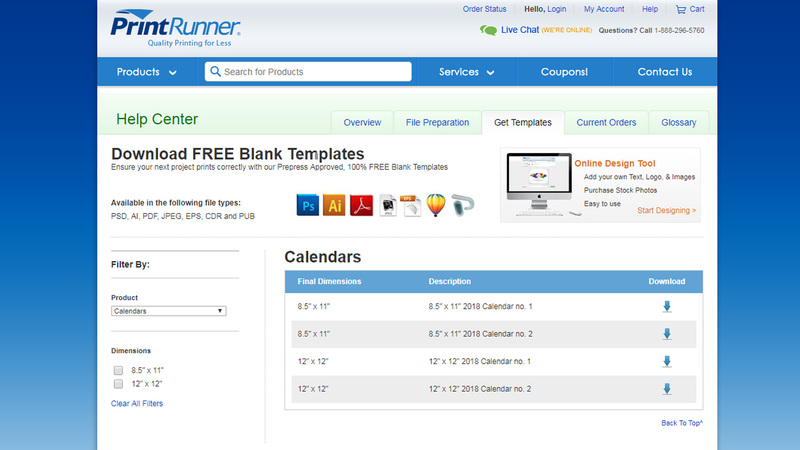 There are online resources that let you download free templates in all the aforementioned formats, as well as JPEG and PDF. Adobe InDesign and Illustrator are the tools professionals are most likely to suggest you use but we know a few people who’d still prefer working with Photoshop. Not knowing the right settings will cause you numerous problems down the road. 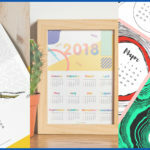 You want to make sure you have the correct settings right off the bat to easily print 2018 calendars. It’s quite easy to miss certain details especially when your mind is hell-bent on nailing that calendar design. Make sure you set the following settings first before you proceed. Size – Do some research and see what size options your printer offers. You wouldn’t want to start a project only to realize they can’t print it in the size you want. 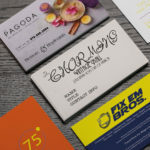 Resolution – Any design meant for printing should have a resolution of at least 300 to make the design is crisp and prevent pixelation in the final printed piece. Color Mode – CMYK (cyan, magenta, yellow, and key [black]) is the standard when it comes to printing because combining cyan, magenta, yellow, and black produces lighter and darker colors than RGB (red, green, blue). Calendars usually have either saddle-stitch or wire-o binding. 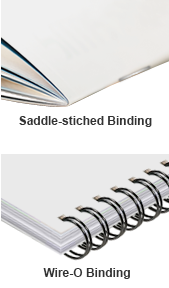 Saddle-stitching is the more popular and economical option of the two. It involves punching a wire through the calendar while wire-o binding uses wires that are threaded through punched holes to bind the calendar. There are two types of paper material: paper stock and card stock. Paper stock uses point (pt.) to denote paper thickness. Card stock, on the other hand, uses pound (lb.). Paper stocks are thinner so they’re better utilized for the inner pages of calendars while card stock is usually reserved for the cover. Cover Paper – The cover paper serves as the outer layer of your calendar. You’ll want to use thick paper material for this such as 10 pt. card stock. Inside Paper – The inside paper are the pages found inside the cover paper. They are commonly printed from thinner material like 100 lb. paper stock.